The luck of the draw. 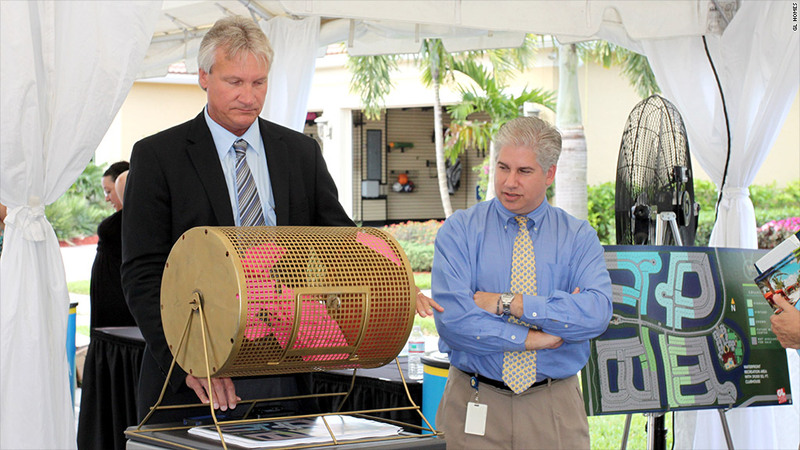 GL Homes VP George Atkinson used a lottery to assign lots at a Florida development. Demand among homebuyers is so high in some parts of the country that builders are holding lotteries to decide who gets to purchase homes in their developments. O'Brien Homes started holding a monthly housing lottery for its 228-unit development called Fusion in Sunnyvale, Calf., after seeing throngs of prospective buyers camp out at the openings of other new condo complexes in the area. "We didn't want that," said Susie Frimel, a spokeswoman for O'Brien Homes. "We wanted our customers to be pleased with the process." Each month, as new sections of the development came under construction, roughly 50 buyers would show up at O'Brien Homes' sales office hoping to be picked for one of the 10 or so sites available. The participants were already pre-qualified for a mortgage and had their down payment in place. After being assigned a number, they crossed their fingers and waited for each bingo ball to be plucked from the tumbler. For each unit, the company drew a winner and a backup, just in case the winner backed out. Lotteries are not a perfect solution, especially for the buyer who walks away empty-handed. "Some people would come back month after month," said Frimel. "It got very frustrating for them." Adding to that frustration was that home prices rose virtually every time a new group of homes went on sale. The two-, three- and four-bedroom homes started out between $420,000 and $620,000. The last grouping went for $555,000 to $815,000, a 32% increase. Even with the price hikes, buyers kept returning. O'Brien started issuing returnees an extra bingo ball. If they lost for four straight months, they would get five chances the next time. The last available home in the complex closed last week. Some customers got shut out. For Frimel, that was one of the hardest things to watch. She had gotten to know many of the regulars well. In addition to O'Brien Homes, other Bay Area builders are also using lotteries, including Shea Homes at a development in Livermore, Calif. and Shapell Homes in San Ramon, Calif. But lotteries aren't just taking place in California. In northern Virginia, Camberley Homes held a lottery to sell two model homes in a new community called One Loudoun last week. More than a dozen people participated. In Florida, GL Homes held its first lotteries since the housing bust. 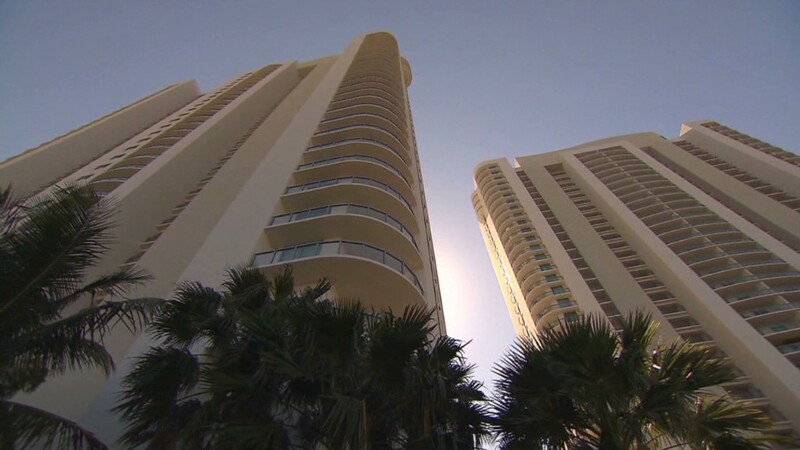 In mid-April, the company sold off 11 of its model homes in Delray Beach, Fla.
Related: The home bidding wars are back! "[O]ur homes are at a price that we are willing to accept and not force customers to potentially get into a bidding war," said GL Homes division president, Marcie DePlaza. "So for us, the lottery is the fairest way to determine the priority in which customers will be able to purchase our model homes." Last weekend, more than 1,000 people showed up for a sale of lots in its Boynton Beach, Fla., community featuring homes ranging from the high $300,000s to the low $600,000s. GL Homes held a lottery in which 75 homebuyers entered to win their first choice of lots. "We set up a big tent outside the sales office to handle the crowd," said DePlaza. "We had them write out pink index cards and we put them in a tumbler. The first winner was so excited, she was crying." Buyers seem to prefer the lottery system to competitive bidding or trying to be the first in line when a home goes on the market. "I thought the way [GL Homes] handled it was very professional," said Neal Rosen, a math teacher who, with his wife Felicia, participated in a the lottery on April 20. "There was no rushing. They had plenty of food. And I got the lot my wife and I agonized over for three weeks." To keep up with the surge in demand, builders are trying to build faster and get as much inventory on the market as they can, according to Glenn Kelman, founder of real estate broker Redfin. After the hard times of the housing meltdown, builders are savoring the return of the buyers. "We went years without having to resort to lotteries or camping out," said DePlaza. "We're thrilled to see them back."